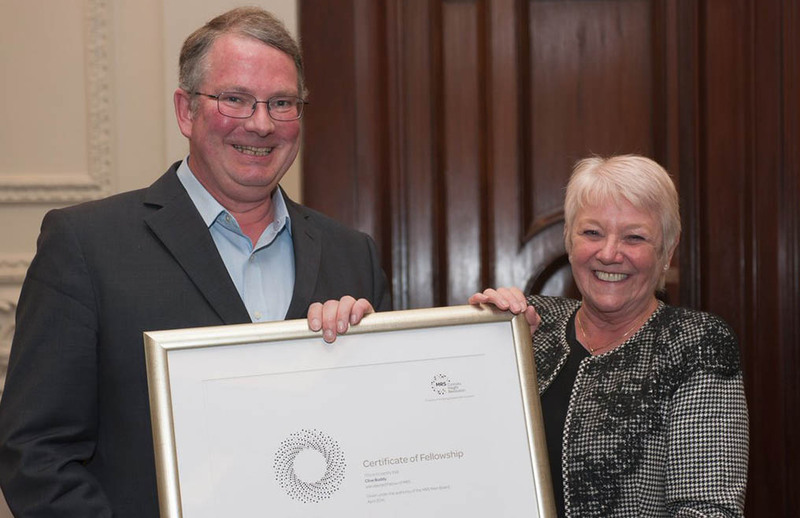 Professor of Leaderships and Organisational Behaviour Clive Boddy was awarded a Fellowship of the Market Research Society (MRS) at their fifth annual Excellence Awards on 10 June. The awards celebrate those who have added substantially to the body of market research knowledge, through speaking at conferences, writing papers and academic success. Middlesex University academic Clive was elected to a Fellowship of the MRS this year after 31 years as an active member and was recognised for his career commitment and promotion of the profession. “I feel honoured to be one of the people to receive this membership award,” Clive said. Clive’s journey at Middlesex began in 2000 as an Associate Professor in marketing. Having co-founded a successful multi-national market research company, Clive continues to draw on his extensive experience in commercial market research. He now specialises in toxic leadership and specifically, researching the effects of corporate psychopaths on organisational outcomes. Learn more about marketing at Middlesex.